You can replace prawn with shrimps. Prepare prawns. Wash them clean. Cut on the back with scissors or a knife. Remove the intestines. Soak vermicelli in hot water for 10 seconds. Cut shorter. Save a little and chop into small pieces. Chop 3 or 4 cloves of garlic. Heat a pan. Add in 2 tsp oil. Saute garlic till aromatic. Add in 1 tsp light soy sauce, 1 tsp oyster sauce and 1/2 tsp sugar. bring to boil. Place vermicelli in a plate. 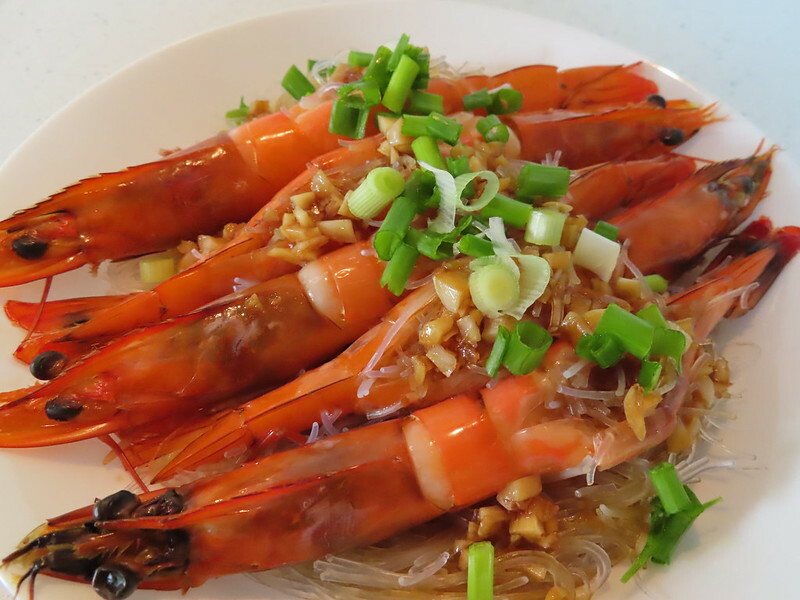 Arrange prawns over the vermicelli. Stuff prawn with chopped vermicelli. Then use a spoon to pour garlic sauce onto chopped vermicelli. 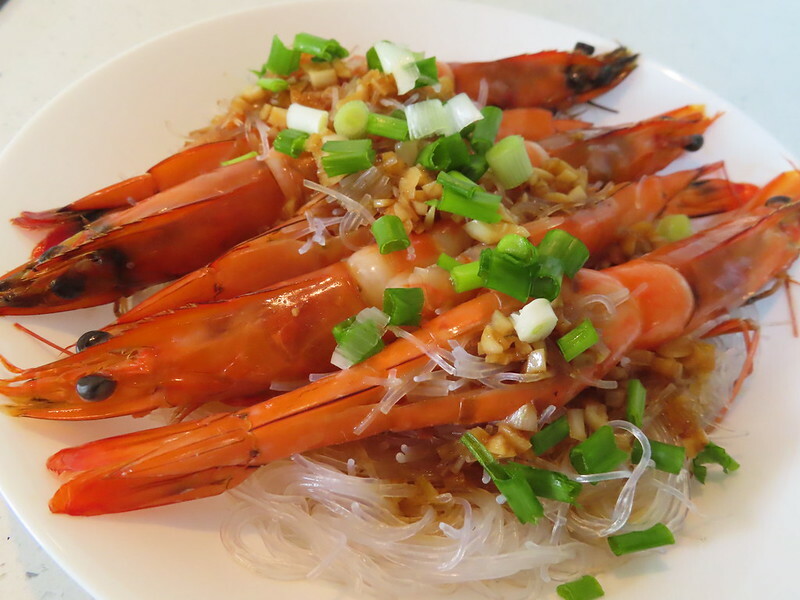 Pour the rest garlic sauce over the vermicelli under the prawn. Steam for 15 mins. My prawns are big, that’s why it takes around 15 mins to be cooked. If you use shrimps, you can shorten the time to 8-10 mins. Vermicelli is very tasty. My husband even loves it more than prawns.